Eh. Traffic this morning on the highway. 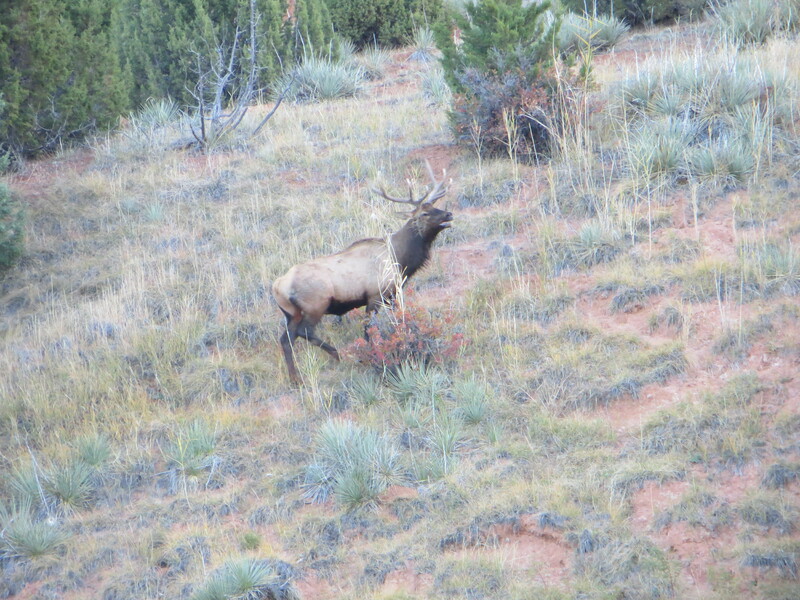 Better watch out… it *is* hunting season… It’s not a good pic, but, hey, how many people get to see elk on their way to work???? 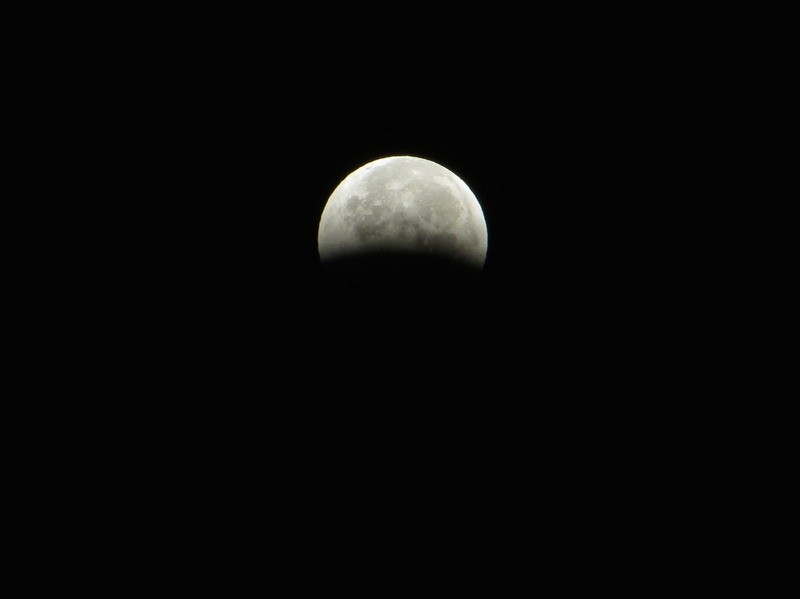 Partial eclipse… but about the best photo I’ve ever taken of the moon! 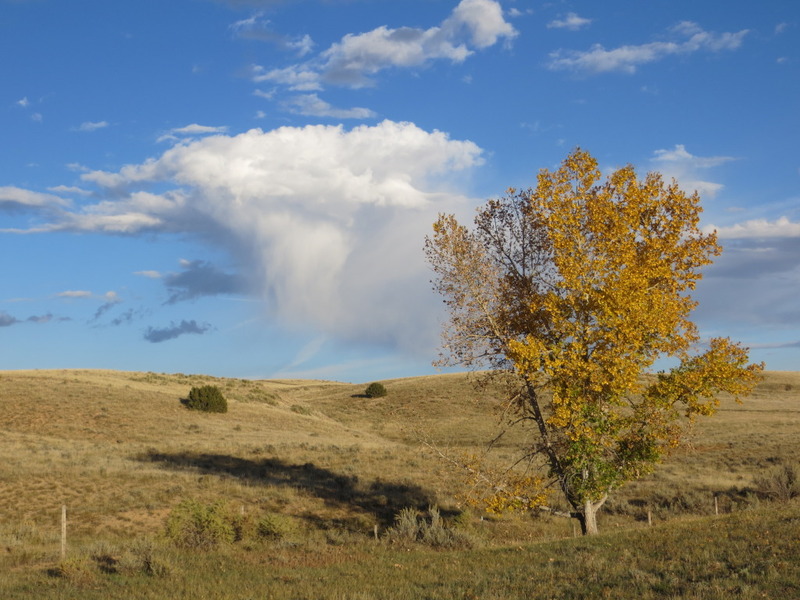 Then sometimes I just have to stop by the side of the road and snap a pic because the color and light is magnificent and the cloud caught my eye! Hey, past time for a Q&A session! Post ’em here, and I’ll answer them soon! Cowboying tomorrow… camera batteries are charged and ready! 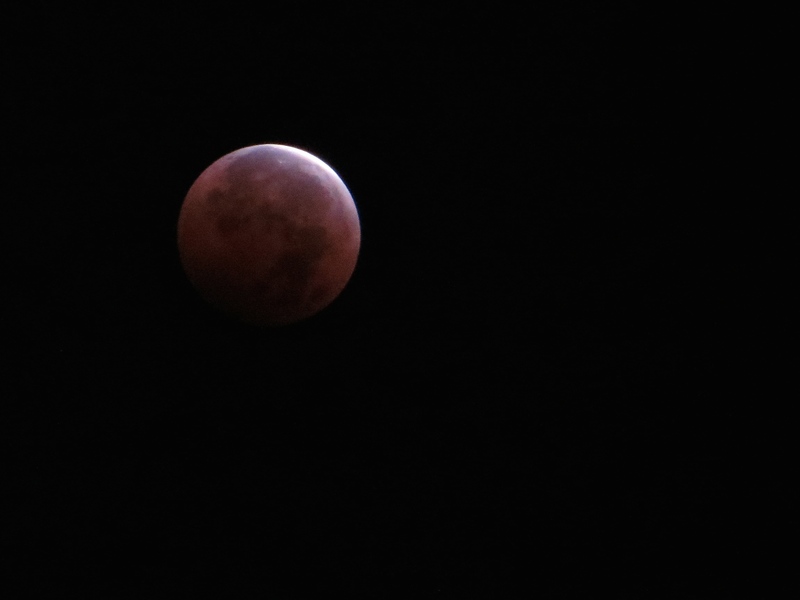 Those are great photos you took of the blood moon and the moon eclipse. Don’t think I’ve ever seen better ones. (I was too lazy to get out of bed to see it for myself!) So Thanks a bunch! great photos… love the Elk… What do you do to keep your chickens warm in the winter and do they like to be out in the pen in the cold during the day? Those pics are stunning! The moon pics in particular!! Thanks for sharing! it because that was the best view only to come back in the house and find I could see it perfectly from our patio door lol. Wonderful photos again Carol. We should do more of ‘stopping to enjoy the view’. In my lunch time walks I’d often come back at this time of year with a bunch of beautiful coloured leaves and put them on my desk. Not sure what co workers thought but looking at them was very calming. Love that last photo!! The others are cool, but that one really stands out.